A former GMO scientist has revealed how the risk assessment of genetically modified crops is a corrupt process using sham science. This lack of genuine research from Monsanto and other biotech companies has brought significant threats to our health, our food system, and the natural environment. The inside knowledge provided by Dr. Jonathan Latham adds to the evidence stacking up that GMOs are not as safe as claimed, and their introduction into the market was accomplished through deceit. While company lobbyists grease the skids in Washington, “researchers” are busy producing the desired results back at the lab. 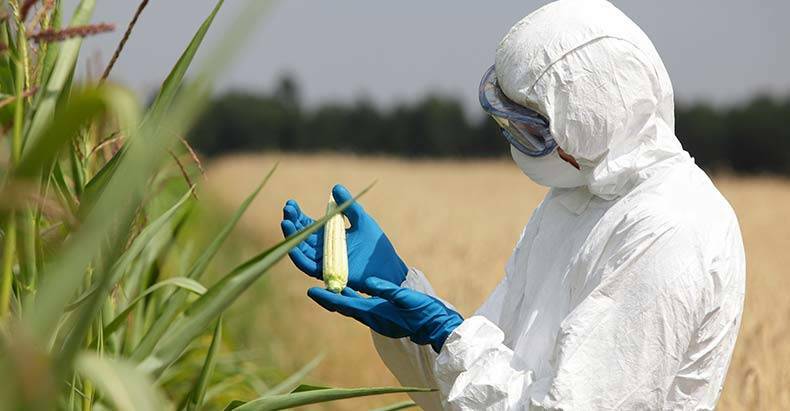 When a biotech company such as Monsanto wants to get a GM product on the market, it produces its own risk assessment of potential health and environmental effects. Amazingly, these self-assessments are the only documents on which government regulators rely, as patents prevent anyone else from studying the proposed GMO product. Dr. Latham began his career as a biologist making genetically modified plants, inserting DNA from viruses and bacteria into the plants as part of his Ph.D. research. He never imagined that GMOs would one day be grown commercially and eaten. It gradually became clear to him and some colleagues that “commercial interests were running far ahead of scientific knowledge.” His experience in researching GMO risk assessment applications solidified his perspective. This abomination of the scientific and regulatory process (at the behest of biotech corporations that control vast portions of global agriculture) has grave consequences. Crops are unleashed that can wreak havoc on ecological communities, permanently infect the genetics of traditional crops, and pose risks to human health. Dr. Latham explains that Bt crops, which kill pests by emitting a bacterial toxin, were sold as “insect-specific and safe” but may actually harm human cells. Herbicide-resistant GM crops were developed in the 1990’s and have resulted in the increased use of herbicides, causing more exposure to humans and the environment. Monsanto said its glyphosate (RoundUp) was perfectly safe, and regulators agreed. Now, however, the World Health Organization has stated that glyphosate is likely carcinogenic, and California will become the first state to label it as such. Bayer’s herbicide, glufosinate, does not degrade when applied to the GM crop and can still be present months later when eaten by humans. In another example of overlooked hazards, for 20 years, safety agencies had the wrong assumption about an important viral sequence in GMOs, then tried to cover up the finding that they were wrong. Dr. Latham goes on to say what we already know to be true—Monsanto and others in the biotech industry exist to serve themselves, not to provide answers to agricultural needs.